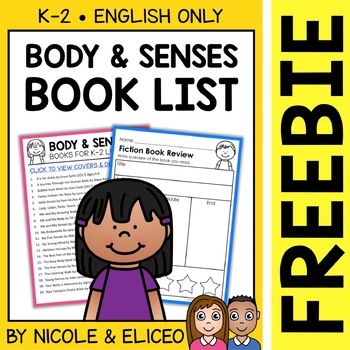 Your kids will love these teacher-recommended picture books about the body and five senses. They are great for preschool, kindergarten, first and second grade students. You can use them as read-alouds, during guided reading instruction, or for independent reading practice. No matter how you use them, your kids will love the engaging texts and beautiful illustrations. Once you find a book you want, you can look for it in your home, classroom, local library, or purchase it.